I won’t write my “best of,” “worst of,” “most outrageous,” or "best value" selections from Art Basel Miami Beach. I’ll just say that I saw a lot of work there, and some of it was strong. My next few posts will look at artists whose work I found particularly engaging. There’s a lot to dislike about ABMB (it’s crowded, it’s huge, and some of the conversations I overheard were repellent) but there’s a lot to like too. With persistence, I found works worth spending time with, galleries taking chances, and gallery people who were more than willing to talk about what they’d brought to Miami and why. For the past several years, I’ve been giving a tour of ABMB for the MIT Alumni Club of South Florida. The tour focuses on art that’s related to science or technology, art that’s related to people who have studied or worked at MIT or whose work is in its collections, and a few other works that I show for no reason other than that I think they’re important. Or, this year, just because I had seen them as I was preparing the tour and I wanted, or maybe needed, to see them again. Satisfying all those categories, I’ll be focusing in the next few days on Louise Nevelson, Peter Campus, Alfredo Jaar, Rafael Lozano-Hemmer, and my new favorite, Agnes Martin. Installation view of the exhibition Form, Line, Contour at Dominique Lévy in New York, 2013. 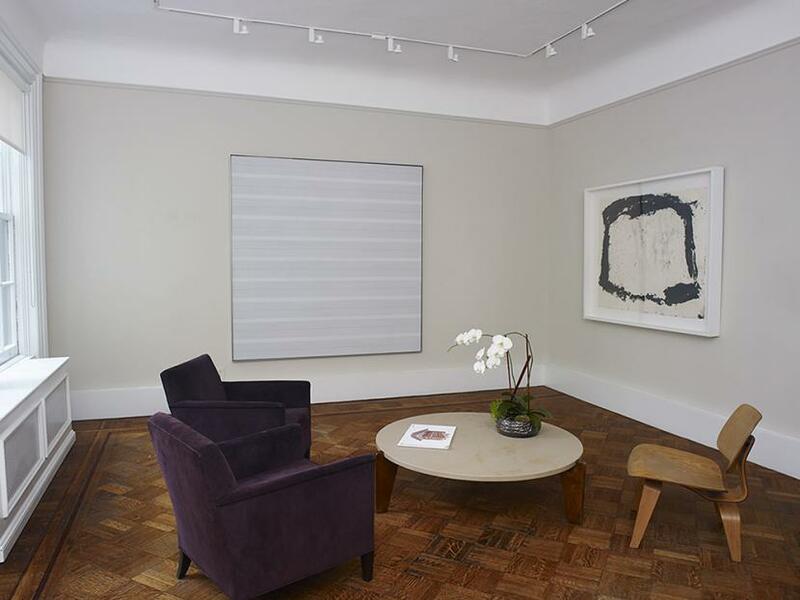 The striped painting is by Agnes Martin. It seems simple from a distance.